Tasty and interesting, if you bring along the low price no prejudices. Is the Glen Grant 5yo among the Bourbons and definitely worth more than it costs in the supermarket chains! Overmy my Jim Beam and Jack Daniels no. 7 with its clarity of composition without much effort. Superficially comes slightly mica vanilla. As soon as the nose sinks deeper into the glass, on the other hand, there is wonderful sweet-and-sweet deep-rootedness. 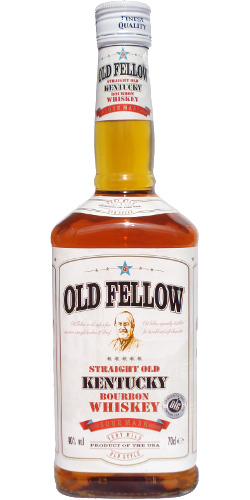 as little brother of the Jim Beam and is hardly distinguishable from this. Purely from the presentation you could already come up with this idea. But think! This cheap drop beats the JB but small worlds of clarity and elegance and is simply delicious. Out of enthusiasm and given the low price I gave him a point more on the scale, as he would actually earn in comparison to my other reviews. But he comes on the list of those drops that I would buy again / will. A tasting will take place next month.